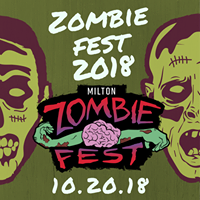 GIG: Saturday, October 20, 4:00pm: Milton Zombie Fest! 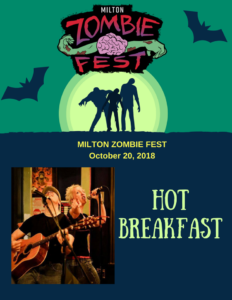 Milton, DE – Hot Breakfast! DATELINE, SATURDAY, OCTOBER 20, 2018… Hundreds of people descended upon the typically quiet but quirky town of Milton, Delaware… but upon closer inspection these people were not ordinary people… they were UNDEAD. If you like it spooky, silly, fun, and perhaps slightly inebriated, come on down to Milton, Delaware on Saturday the 20th, for an all-day Milton Zombie Fest, complete with food trucks, vendors, makeup stations for all the hottest undead makeup looks, a beer tent, zombie pirates, a Zombify Your Vehicle Contest, a screening of Rocky Horror Picture Show, and a zombie walk/trudge at 8:00pm! Tons of really great live music, plus one totally mediocre band. 🙂 The event runs from 12Noon to 10:00pm! This is an all-day event at the Milton Theater benefiting Calliope Project(the Milton Theatre), The Milton Historical Society, The Milton Fire Department, and Casa San Francisco. Your $10 festival pass gets you all you see below including being a part of the walk. 100% of your entry fee goes to the organizations! Bring your own chair or blanket to enjoy the great line up and amazing food. WHO: Hot Breakfast!, and so many other bands! 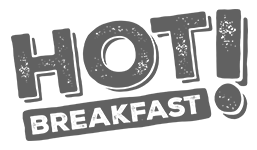 WHAT: We’re all playing at Milton Zombie Fest– a silly and interactive festival of undead and spooky things. WHERE: It’s all around the Milton Theatre, up and down Union Street in Milton, DE! WHEN: Saturday, October 20, 2018. The event runs from 12Noon to 10pm. We play at 4:00pm! FOOD: Food trucks, beer garden, candy for the kids… you will not go hungry. PARKING: Plenty of parking around town, and there’s a parking lot near the theater. TICKETS and INFO: $10; children under 12 free!